Dr. Sunny Park is California’s elite Facial Plastic and Reconstructive Surgeon. She is double board-certified in Facial Plastic and Reconstructive Surgery, and Otolaryngology – Head and Neck Surgery. She exclusively treats the face and neck as all of her training has been dedicated to the face and neck. Dr. Park provides both cosmetic and reconstructive surgical and non-surgical services. Her philosophy is to enhance each person’s own beauty while creating natural looking results. Having trained exclusively in the face and neck her entire career, Dr. Park has extensive experience and knowledge of what makes the face look rejuvenated, harmonious and not overly done. Her greatest achievement is to help her patients to look their best and live a healthy, happy life. Dr. Park is extremely kind, thorough, and thoughtful. She listens very patiently. She explains things in a manner that is easy to understand for the "non-medical" lay-man. She does not make you feel rushed when she visits with you ... Her "bedside manner" and relaxed nature was far above and beyond my expectations. I HIGHLY recommend Dr. Park. She is a unique gem in this world of "plastic (and reconstructive) surgery". She makes you feel at ease, and doesn't beat around the bush, overcomplicate things, or recommend "unnecessary" surgeries. I would not hesitate to get her opinion again, in the future. She's beyond excellent. My experience with Dr. Park is one of the best I have ever had with a physician. I had a melanoma removed from my ear in which Dr. Park did the reconstructive surgery. I was naturally pretty intrepid about the possible outcome of losing a significant portion of my ear. Dr. Park's reconstructive expertise was simply amazing. My ear looks so perfect I think my family and friends are skeptical that surgery even took place. Dr. Park is very caring, personable and professional. Service and care are wonderful. 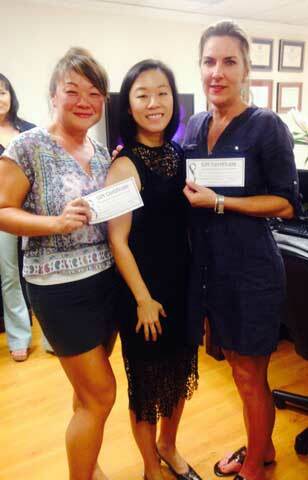 It was so nice that Dr. Park came to the derm office instead of my transferring offices. [I] would be happy to refer Dr. Park to anyone who asks. So far my suture healing is almost seamless. 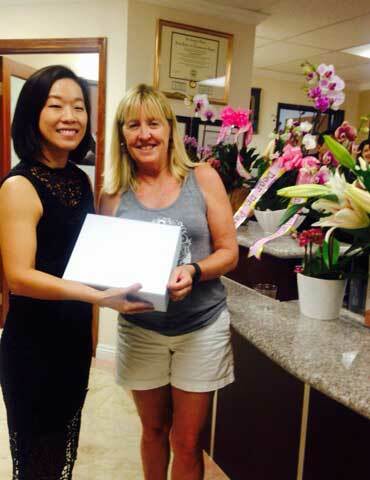 [I] Am very impressed as I have had so many Mohs procedures and healing has been varied. Hope you will be here a long time and able to to close all of my future Mohs procedures. Dr. Park is extremely kind, thorough, and thoughtful. She listens very patiently. She explains things in a manner that is easy to understand for the "non-medical" lay-man. She does not make you feel rushed when she visits with you. I met with her after suffering a bad fall, and fracturing bones in my face. "bedside manner" and relaxed nature was far above and beyond my expectations. I HIGHLY recommend Dr. Park. She is a unique gem in this world of "plastic (and reconstructive) surgery"
I would highly recommend Dr. Park. She is a very knowledgeable and skilled plastic surgeon. She is kind and considerate, patiently addressed all of my questions and concerns, and extended herself to ensure I received the best treatment. I love coming to see Dr. Park. Excellent care and a wonderful office. Having to go through a stressful surgery and losing both my mother and husband to skin cancer, I was very thankful for Dr. Park and her excellent care for me. Dr. Park is a highly skilled, professional and personable surgeon. She and her staff made me feel totally at ease and confident of having a fantastic outcome on my [nasal and facial] surgery. I would highly recommend anyone in need of or desiring plastic surgery to call Dr. Park. She is the best! I just want to say how grateful I am to you and Dr. Eisenberg for being such caring and skilled surgeons. I must say that you are also truly an artist. It was amazing to see what little you had to work with and then your extraordinary results. Dr. Park provides facelift, necklift, rhinoplasty, blepharoplasty (eyelid lift) and otoplasty (ear reshaping) to enhance your own beauty while creating natural-looking, harmonious results. Injectables such as Botox/Dysport and fillers, and microneedling/ Radiofrequency (INFINI) treatments can decrease the appearance of wrinkles, add volume and rejuvenate without undergoing surgery. Dr. Park works closely with local Newport Beach dermatologists and Hoag melanoma physicians to reconstruct patients with skin cancer. She also treats patients with scars and any abnormalities of the face. 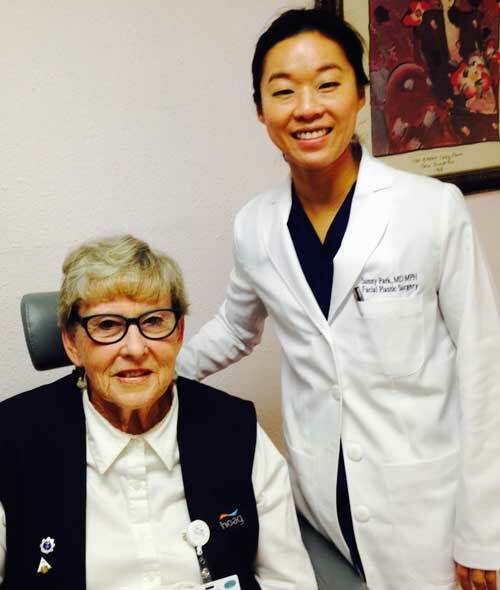 As Korean-American herself, Dr. Park understands the Asian culture and the needs of Asian patients. As such, she offers various eyelid surgeries, such as “double eyelid surgery”, specific to the Asian eyelid anatomy .